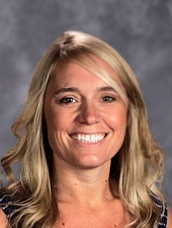 Heather Yount, principal at Fruitdale Elementary in the Three Rivers School District, has been selected as Oregon’s 2016 National Distinguished Principal by the Oregon Elementary School Principals Association (OESPA) and the Confederation of Oregon School Administrators (COSA). This “Oregon Elementary Principal of the Year” award automatically places Yount in the running for the National Distinguished Principal Award from the National Association of Elementary School Principals (NAESP). Yount has been principal at Fruitdale Elementary for nearly five years. During her tenure, Fruitdale, where 71 percent of students are economically disadvantaged, has become an Oregon model school – initially for improving student achievement, and then for sustaining that improvement. Last year, Fruitdale outperformed state averages for students with disabilities by 16 percent in English Language Arts, 28 percent in Math and 34% in Science. Similarly, Fruitdale’s economically disadvantaged students outperformed their peers around Oregon by 26 percent in English Language Arts, 26 percent in Math and 32 percent in Science. A former Oregon Middle School Teacher of the Year (2007), Yount established professional learning communities and provides systematic and ongoing professional development to all staff. “One of Heather’s greatest strengths as a leader is her ability to understand educational trends and her ability to scaffold development at the school and the professional development of all staff,” said Three River Superintendent David Holmes, who nominated Yount for the award. The National Distinguished Principals program honors principals who ensure that America’s children acquire a solid foundation for lifelong learning and achievement. The program was established in 1984 to recognize and celebrate elementary and middle level principals who set high standards for instruction, student achievement, character and climate for students, families and staffs. Yount will be honored at the 42nd Annual COSA Conference in Seaside in June, at the NAESP National Distinguished Principals event in Washington, D.C. in October, and the 2016 Oregon Principals Conference in October.